Medicine from MGM Institute of Health Science, Bombay in 1996 and DM -Neurology from All India Institute of Medical Sciences, New Delhi in 1999. 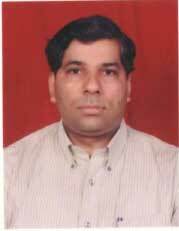 He is a member of Delhi Medical Council and Medical Council of India (MCI). Some ofthe services provided by the doctor are: Attention Deficit Hyperacti-vity Disorder (ADHD) Treatment, Sleep Disorder Treatment, Dementia Treatment, Alzheimer&#39',s Disease and Vertigo Treatment etc. > Chief and Co-ordinator Department of Neurology at Batra Hospital, New Delhi. > Senior Consultant Neurology from 2011 to 2012 at Moolchand Medicity, New Delhi. > Senior Consultant Neurology from 1999 to 2010 &amp;2012 onwards at Batra Hospital, New Delhi. > Senior Resident Neurology from 1996 to 1999 at A.I.I.M.S.